NEMCRC Forms, applications, notices and regulations etc. are available for download here. 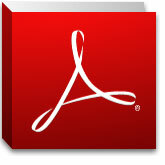 Just click the links and save to or open on your computer, (PDF files open in Adobe Acrobat Reader, while DOC files open in Microsoft Word or Apple Mac Pages). This entry was posted in Racing, Regulations and tagged ACU, dinner dance, downloads, nemcrc, regulations on February 26, 2019 by Website Admin.